Sometimes it does you good to escape from the pressure of everyday life. 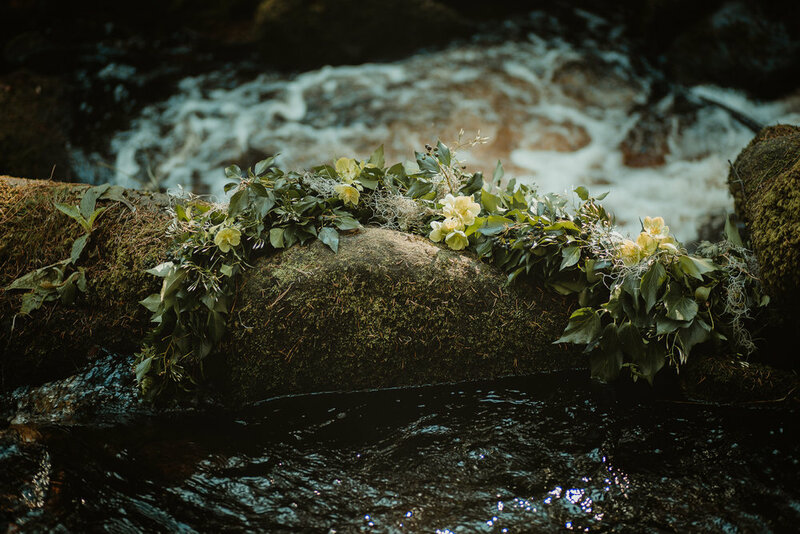 Using the beautiful seasonal flowers available we constructed a selection of stunning designs and set out to Wyming Brook at Redmires where the ancient trees, wild orchids and babbling brook create a magical mood. 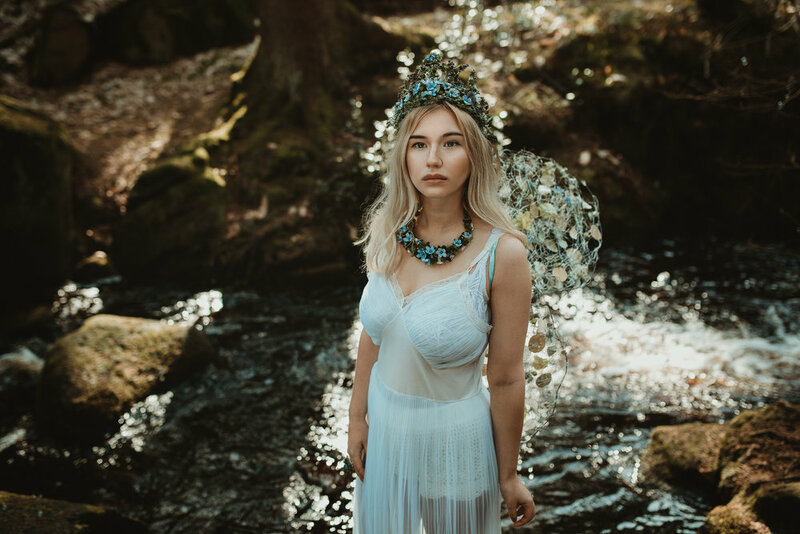 With the use of a little imagination, an enchanted setting and clever photography we created the scene for a spring fairy garden.